The Irish Funds ETF (Exchange Traded Fund) Working Group has published a paper titled Ireland – Europe’s Centre of Excellence for Exchange Traded Funds. In 2017 the ETF industry exceeded many expectations with consultancy firm ETFGI confirming AUM reaching over US$4.4tn in ETFs globally. At present, over 54% of the ETF European market share is domiciled in Ireland, making Ireland the centre of choice for many ETF sponsors. Subscribe to our funds industry updates, which include news, insights, and future events. Click here to access to the registration form. 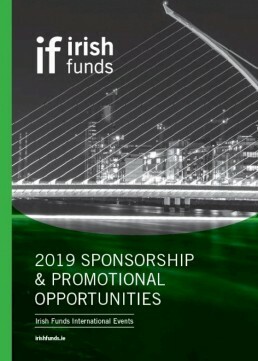 Sponsoring Irish Funds events give you unparalleled access to domestic and international fund industry professionals.